The food alone is enough to make you want to travel to Italy! 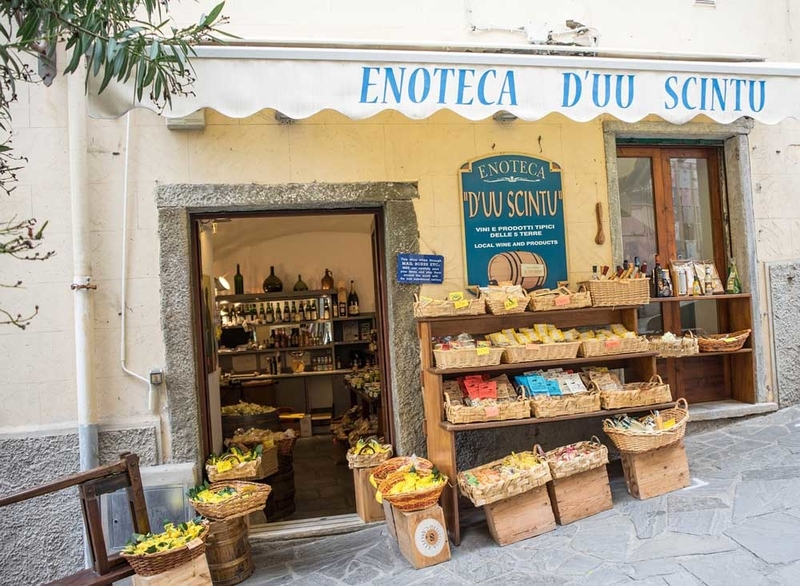 From the handmade pizza and pasta, to the fresh cheese and olive oil, travelers will never leave Italy hungry. The way Italy classifies eating establishments is unique and can leave visitors searching for answers if they aren’t sure what they are looking for. To help, we defined all the different types of places to eat in Italy and what to expect in each eatery. A ristorante (ree-stoh-RAHN-teh) is a full-service dining establishment that we generally think of when the word restaurant comes to mind. They are known as the higher-end eateries in Italy and you can expect top quality service (professional servers and sommeliers) and a pleasant atmosphere. You will probably be served bread along with having an extensive gourmet menu to choose antipasti, primi, secondi, contorni, and dolci from. The food served is more expensive, not limited to seasonality or locality and is more upmarket and formal. A trattoria (trah-toh-REE-ah) will have a more informal setting than a ristorante, while still offering a high quality food experience. It is common to see family run trattorias and sometimes they even have a deli section where patrons can take home fresh slices of cheese and meats. Trattorias are more moderately priced than a ristorante and might change their menu depending on the season and what fresh produce is available to them. Some trattorias have adopted restaurant style pricing, but offer larger portions. The osteria (aw-steh-REE-ah) is the most informal dining experience and are comparable to America’s wine bars. The food on the menu is very simple and can change daily based on the local reginal specialties. Some osterias are full service and some you can order and pay at the counter. 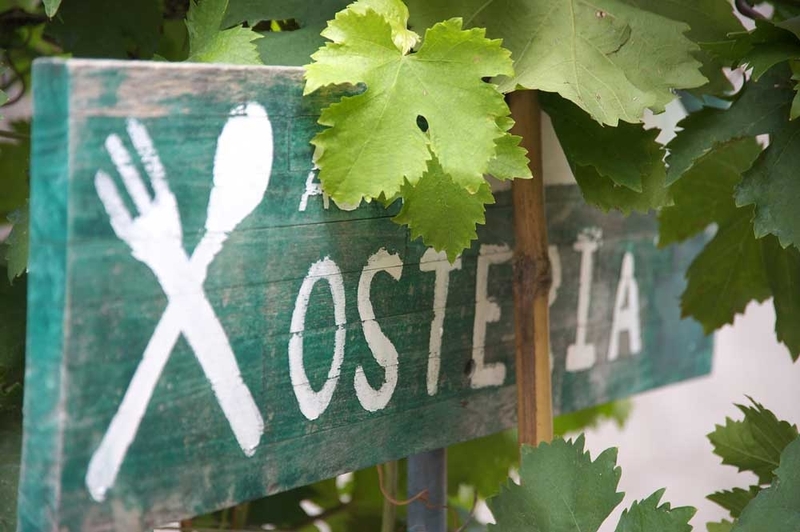 Osterias are a perfect way to try cuisine that is unique to the particular region of Italy you are visiting. Don’t be surprised if the seating arrangements consists of one long table to be shared with other guests and the menu is located on the wall. Related: Hungry Yet? Book Your Trip To Italy Now! A bar (bahrrr) in Italy is very different than a bar in America. An Italian bar is more like a coffee shop where you order at the counter and there are no age restrictions. 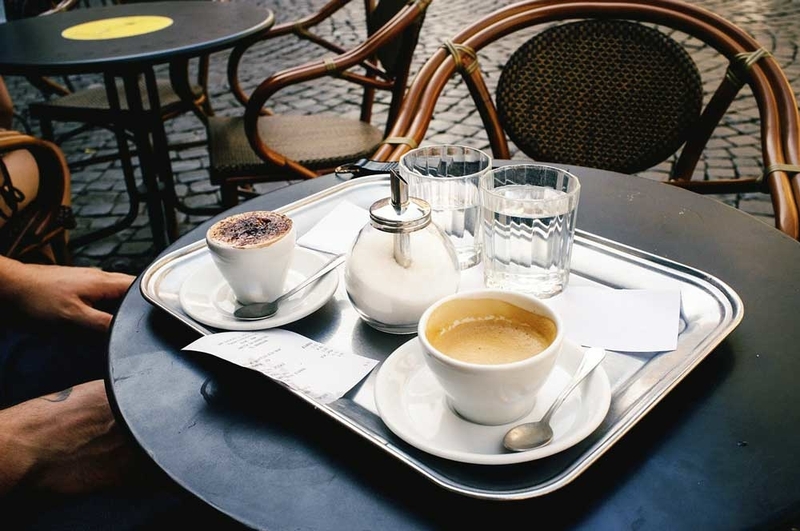 Even though you can order beer and wine at an Italian bar, most locals go there for a quick espresso or a light bite. Bars serve fresh baked pastries and sandwiches if you are looking to grab food and keep exploring! An enoteca (in-no-TEK-ah) is a bar where the only alcohol served is wine. You’ll find a wide selection of whites and reds and everything in between that are usually local to the area. Depending on the size of the enoteca, there could be a very small menu of appetizers (think cheese plates, charcuteries, etc). Locals might meet up at an enoteca for a glass of wine before going out to a ristorante or stop by for a nightcap on the way home. When it comes to eating, Italians take food very seriously, so too they have a place for every occasion. 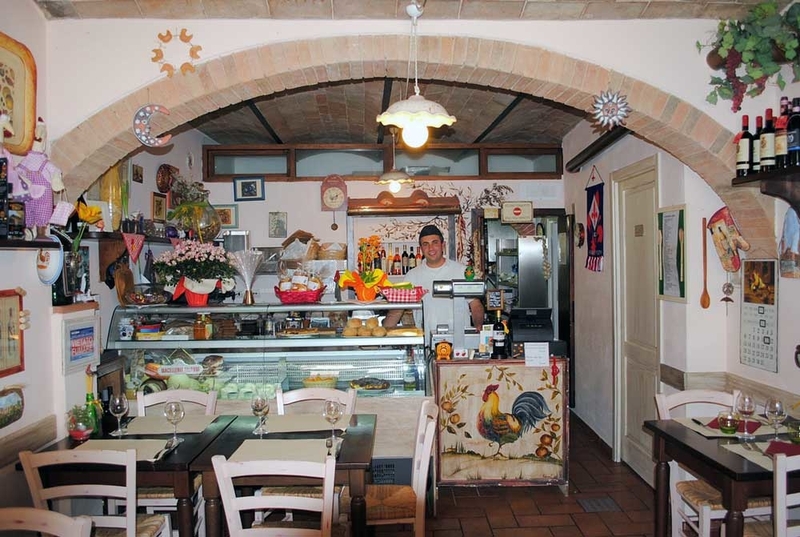 A common questions travelers ask is, how do I spot an authentic place to eat in Italy? There is no surefire way to know right off the bat, but if you are looking for authenticity, steer clear of checkered tablecloths, grandiose signage, and menus with English translations or pictures. Learn as much conversational Italian as possible and keep restaurant classifications in mind when picking where to eat in Italy. We recommend you try them all to ensure you get a true experience on the local Italian dining scene.